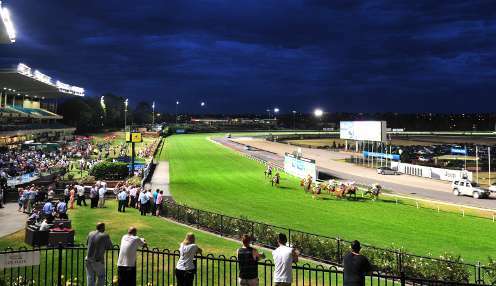 Co-trainer Troy Corstens has revealed Thrillster could have earned a crack at the Golden Rose following her win in the Listed Atlantic Jewel Stakes at Moonee Valley. Thrillster held off Humma Mumma to score by a long neck, with big outsider Krone battling on to take third, and Corstens now says he has a decision to make. Corstens says his plans remained fluid with Thrillster, but the Golden Rose is a possibility as is a crack at the Group 1 Thousand Guineas next month. "We haven't planned anything moving forward but she's still in the Golden Rose so maybe have a look at the Golden Rose," Corstens, who trains Thrillster in partnership with his father Leon, said. "I'm not sure about that just yet so we'll get her home and let things settle down and have a look and go from there." Corstens said Thrillster's win was a welcome tonic for the stable after a trying period with illnesses dogging them in recent months. "We've had a bit of a bad run over the last six months," he added. "We haven't kept it a secret. We've had a bit of a bug go through the stables and temperatures popping up here and there and it's nice to be finally over it and get a nice win like this." The win follows on from Thrillster's fast-finishing third from a wide gate in the Group Three Quezette Stakes at Caulfield on 18th August and shows she has come back well. Thrillster is 999/1 to win the Golden Rose, Lean Mean Machine at 9/2 and Brutal trading at 999/1.